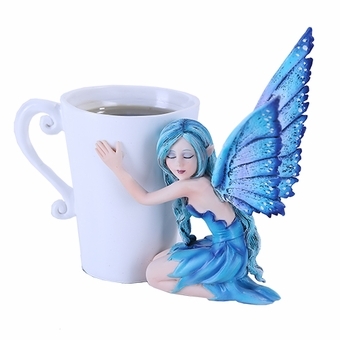 This adorable figurine features a fairy and her favorite warm beverage! 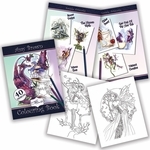 Designed by well-known artist Amy Brown, the statue portrays a fairy with blue hair and wings, and a matching indigo dress, holding onto a warm mug. Placed on a coffee table, your guests will do a double-take upon seeing this unique decoration! Size: 5 1/2" x 3 1/2" x 4 1/2"